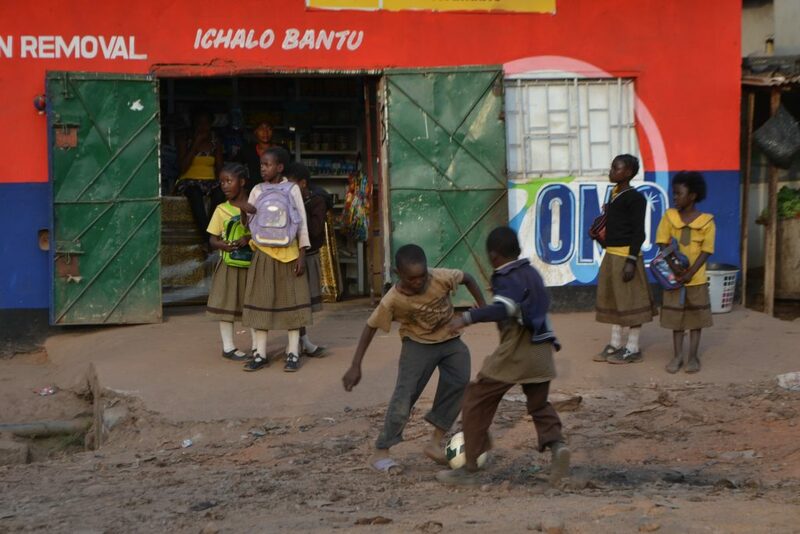 While waiting to meet our partners for the Argentina-Switzerland game in Mtendere, Lusaka, we spotted a group of kids playing football near the Mahatma Gandhi Primary School. 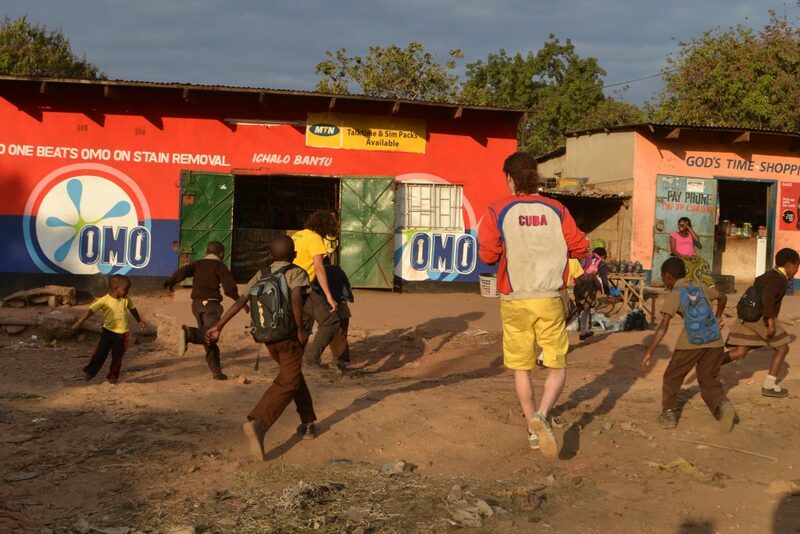 We went over to join them and a game began at frantic pace. 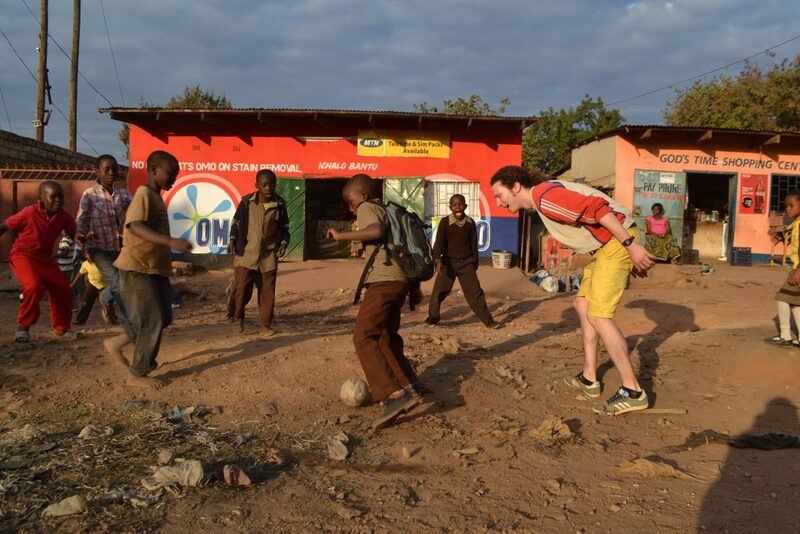 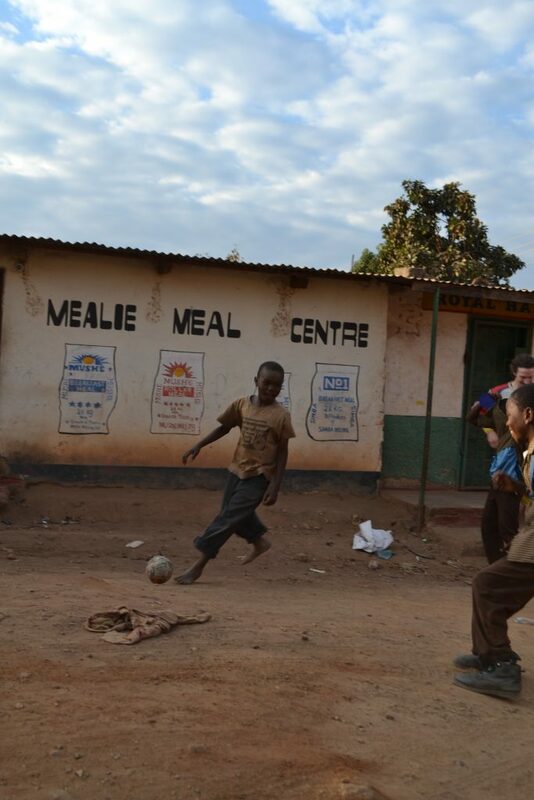 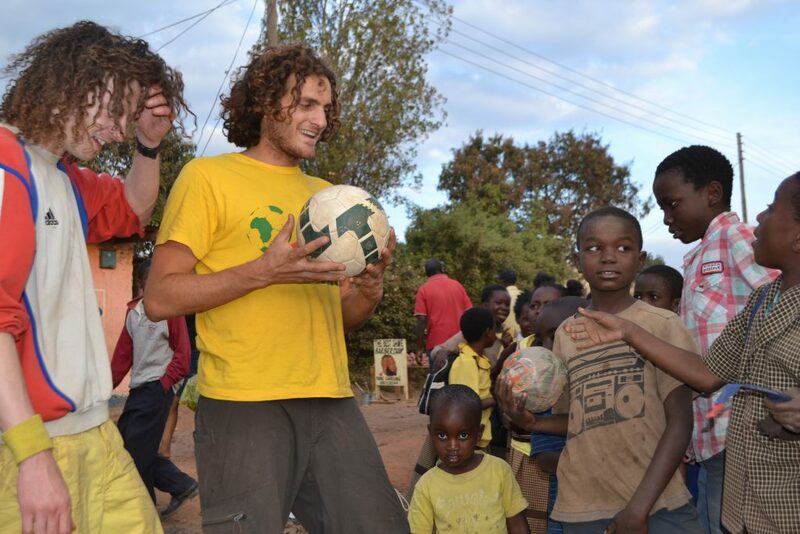 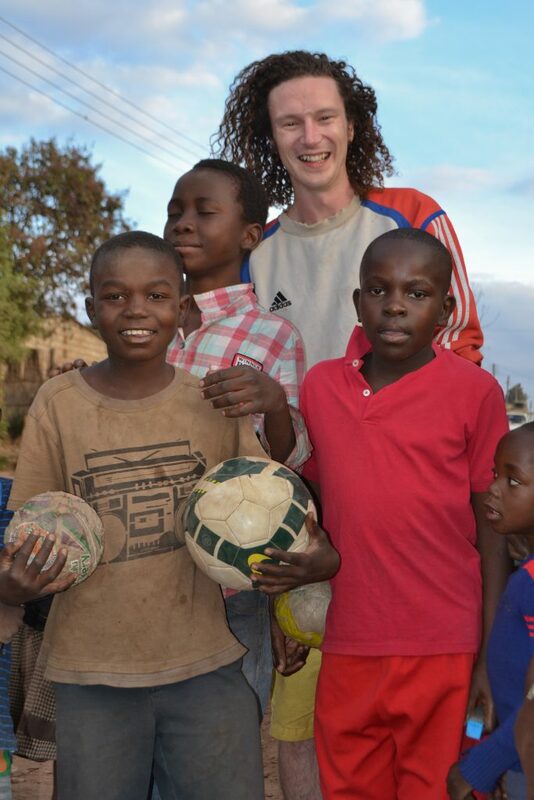 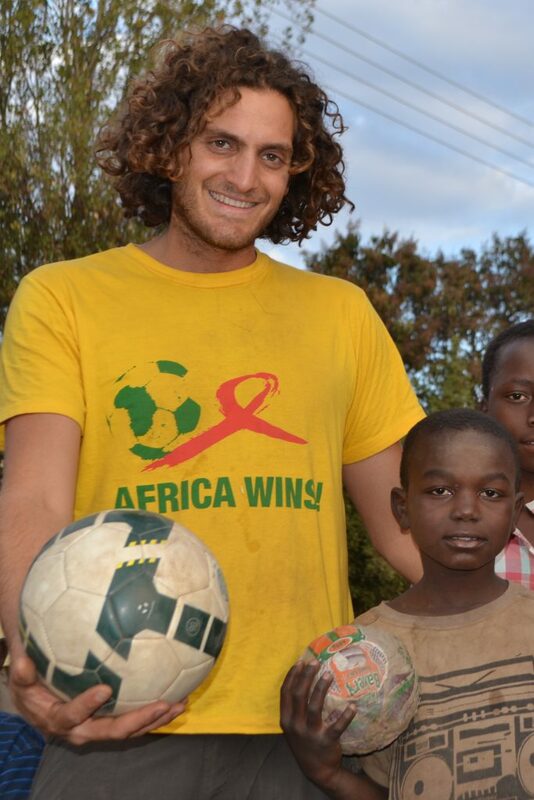 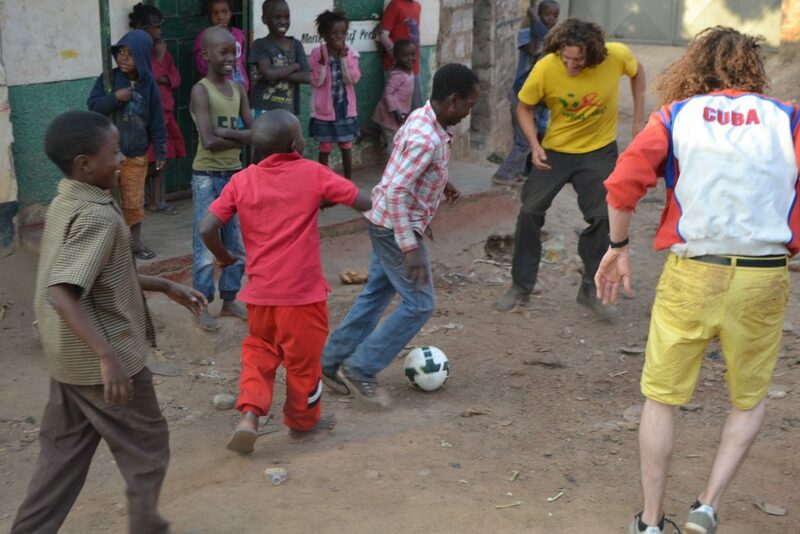 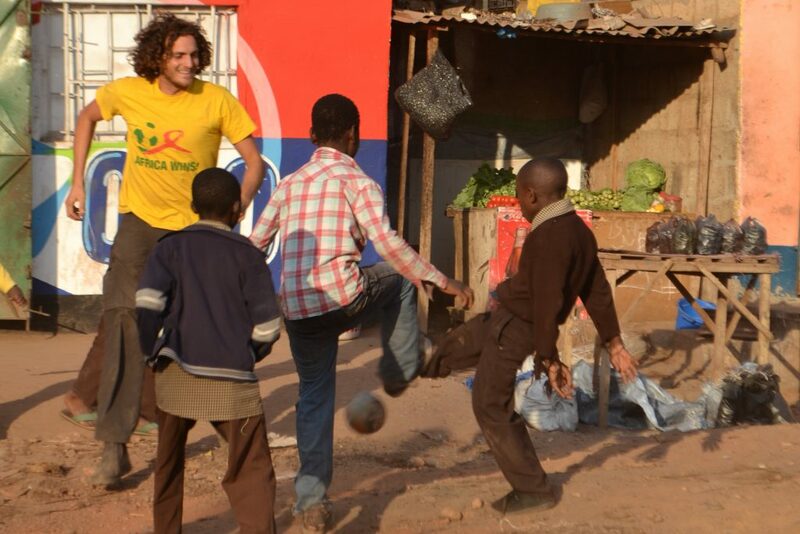 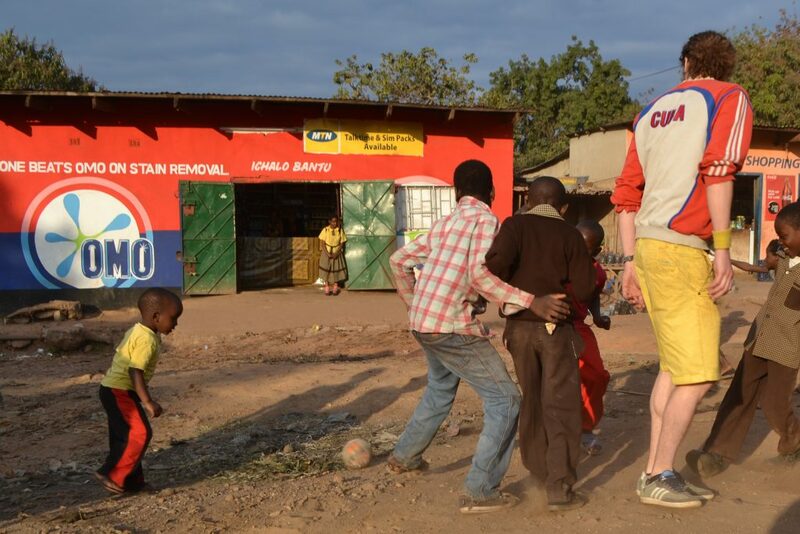 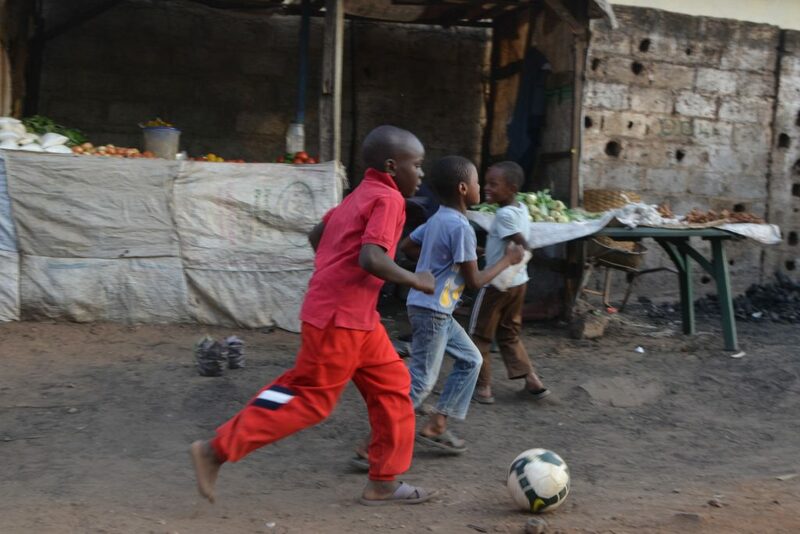 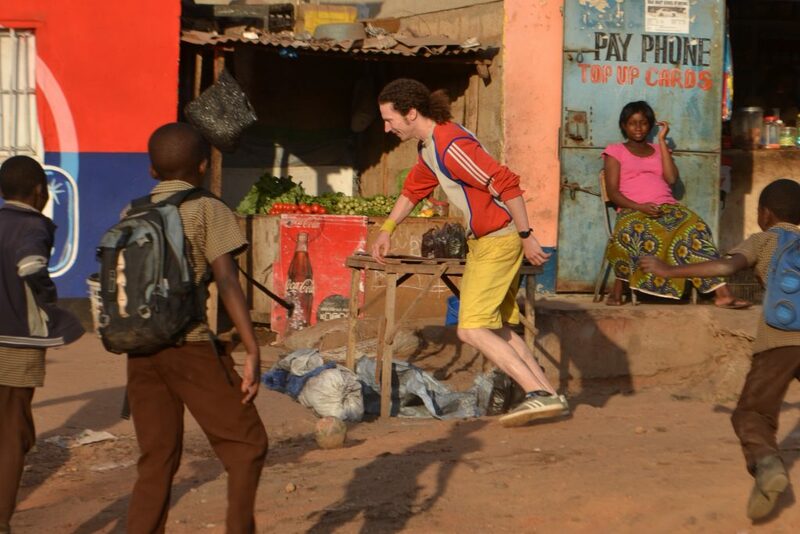 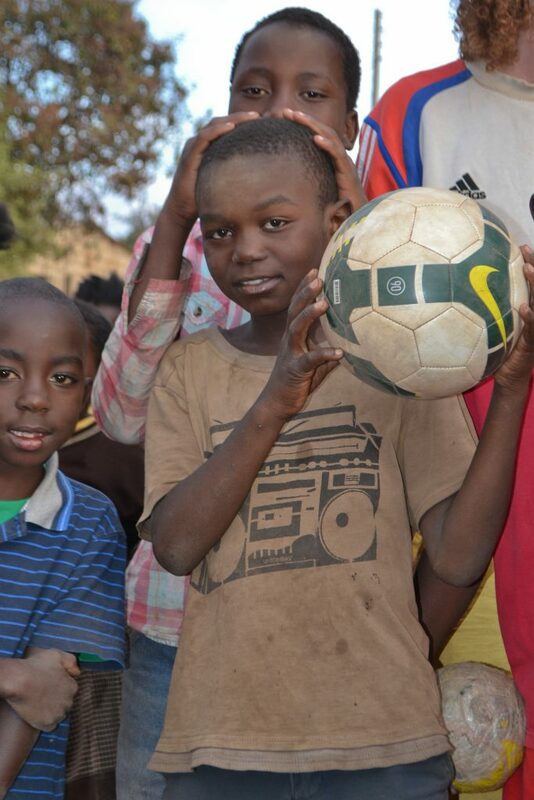 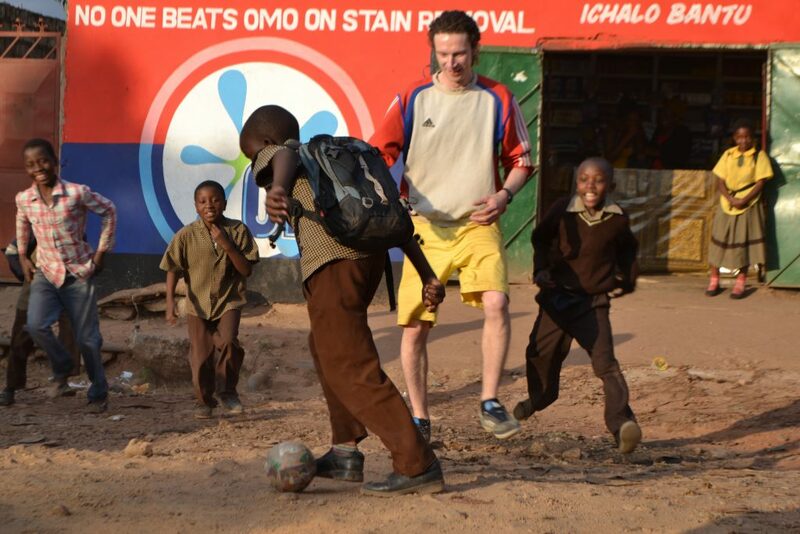 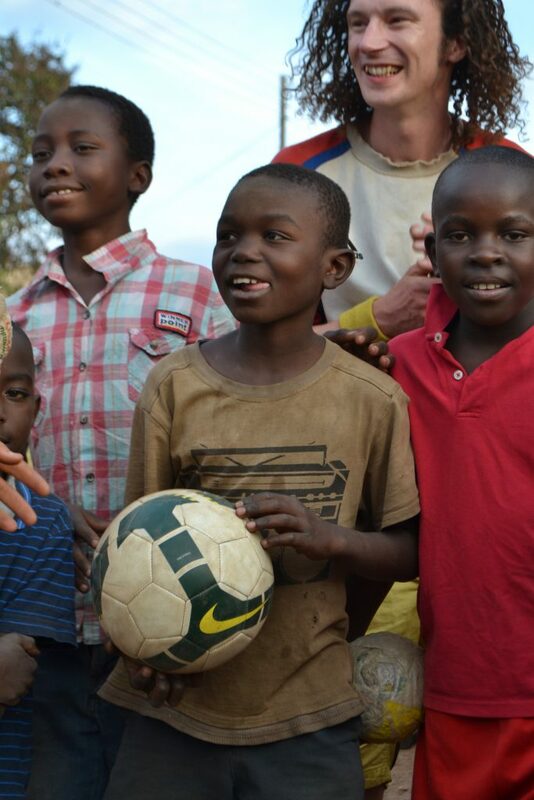 Africa Goal players had fun adapting to the concrete pitch and obstacles they weren’t used to in this urban setting. 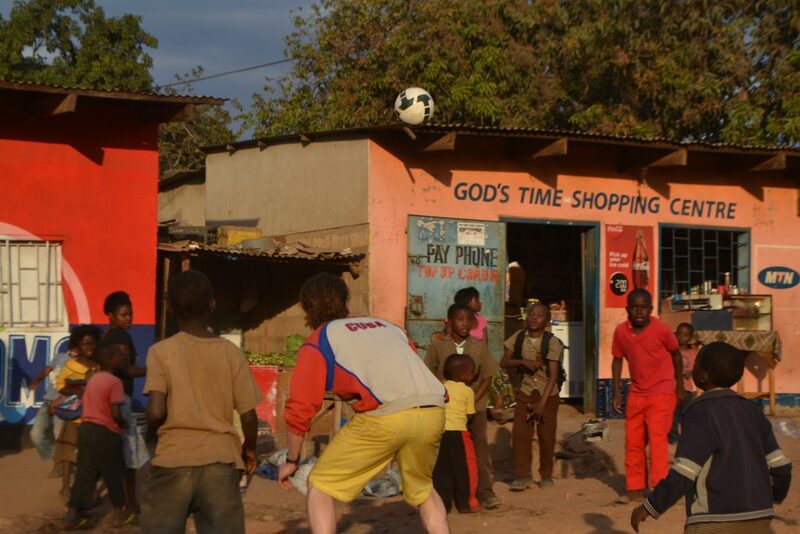 As our partners arrived we had to move on to set up for the game, but before doing so traded one of our Nike Belgium balls for the match ball, a plastic creation made by Sidin, aged 11.